BREAKING NEWS IN GELANG PATAH: Our new outlet is now open! 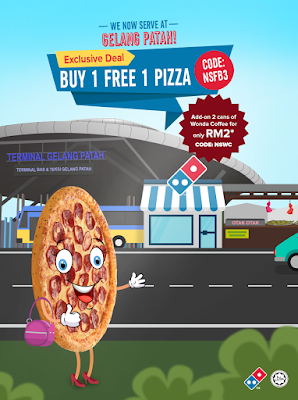 Drop by No.14, Jalan Nusaria 1 J/2, Taman Nusantara, Gelang Patah, Johor to enjoy this exclusive deal! But that's not all… You can also add on 2 cans of Wonda Coffee for only RM2* (CODE: NSWC)! Whatcha waiting for? Order online now!